A statement by Opposition Leader, Hon Reuben T. Meade on the passing of Sir George Henry Martin. Having learned of the passing of Sir George Martin, my family and I extend sincere condolences to his family and loved ones. Sir George, an adopted son of Montserrat, has left an indelible mark on our beloved island. 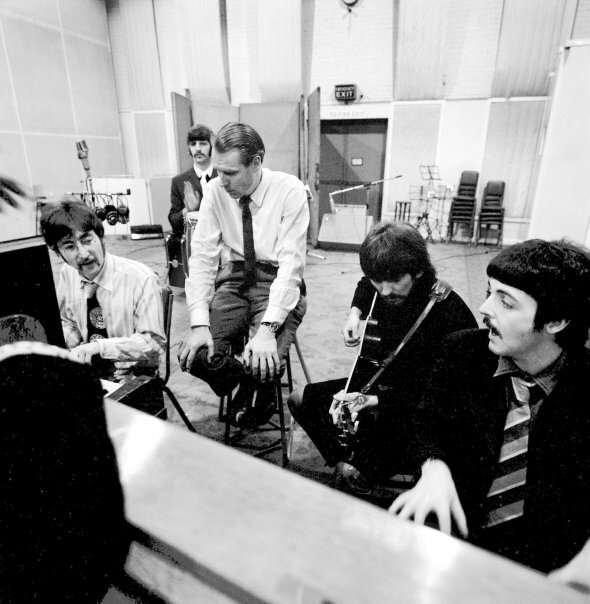 His Air Studios facility attracted several high profile musicians to our shores during its heyday. Olveston House which he acquired and still owns stands in his memory. We are blessed to have him see the vision of building the Cultural Centre in Little Bay to give the arts in Montserrat, a place to call home. We will forever be grateful for his contributions. By bringing many popular musicians during the 80s to Montserrat. The island gained invaluable promotion that no tourism marketing plan could have provided at the time. I can recall the likes of Sir Elton John, Phil Collins, Paul McCartney, Stevie Wonder, Sting, the Police, among others making regular visits to Montserrat to write, record, relax and otherwise enjoy this land that we are blessed to call home. We can also remember fondly “Ebony and Ivory” created and produced in Montserrat. His fundraising efforts during the volcanic crisis were also truly remarkable. His bronzed hand prints at the Cultural Centre are only a small symbol of the lasting impact of his contributions to Montserrat. I was personally blessed to have been invited to join him and his wife at the inaugural screening of a film “My Life”, the life and times of George Martin at the George Martin Auditorium in London in April 2011. The many evenings we spent together discussing ideas for the development not only of the arts in Montserrat but in a wider context. The music teachers who come each year from the UK, this was also through his efforts. A tremendous contribution which we trust will continue in his memory. Having lost Air Studios in Montserrat in 1989, he acquired a building in London where he sought to rebuild a much larger studio facility along with his son Giles. Sir George Martin, a tremendous person with a passion for Montserrat. A couple years ago, Lady Martin, his tower of support, informed me, that sadly, due to failing health that would have been his final visit to Montserrat. To Lady Martin and Giles and the rest of his family. Thanks for sharing him with Montserrat. May his soul rest in peace. Reuben T Meade and family on behalf of a grateful people. Blessings.